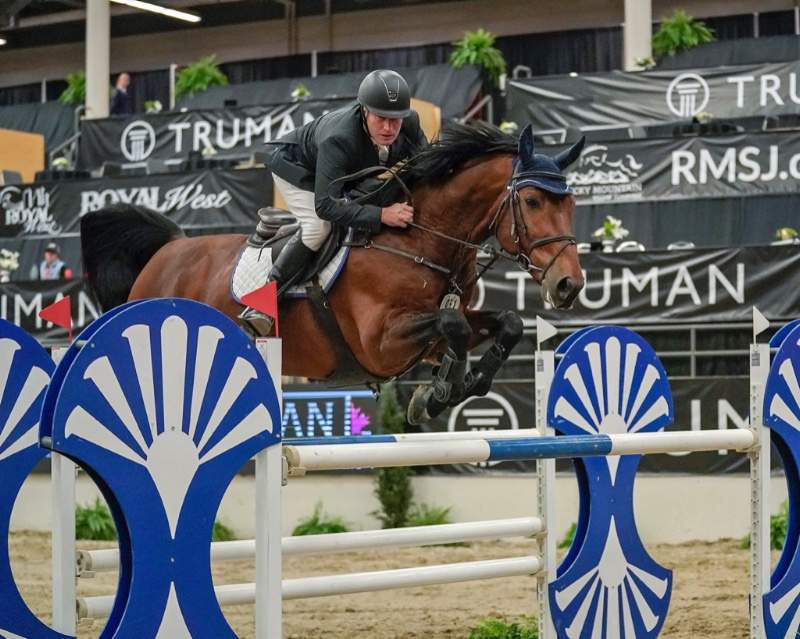 Jim Ifko aboard Un Diamant Des Forets, the Selle Francais stallion, was victorious in this evening’s $40,000 Grant Production Testing Services Cup CSI3* with a time of 38.15 seconds. “[Un Diamant Des Forets] loves the jump offs. He is such a fast horse – I stuck to my plan and he did the rest,” said Ifko. Austin Krawitt piloted Choose Me 4 into second place with a time of 40.74 seconds in the jump off. Third place was awarded to Bryna Closson on Cair Paravel with 41.18 on the clock.